At this year’s Groundswell show and conference, farmers and the wider industry learnt the importance of boosting soil fungi in order to maximise the output and sustainability of their soils. During the two-day event in Hertfordshire, attendees were informed of the benefits associated with reduced cultivations, whether through the use of grass leys or no-till cropping – both of which support the development of soil fungi. Farming systems which rely heavily on inputs and cultivations are creating nitrate-rich, bacterially dominated soils, which promote plant disease and nutrient lock-up, attendees heard. Instead, Joel Williams, founder of Biolife Ag, said growers should work towards increasing the fungi content of their soils. A high level of mycorrhizal fungi was said to be particularly beneficial, since it has a direct relationship with the growing plant. Mr Williams said: “Unlike most soil fungi which feed on organic matter, mycorrhizal fungi, which exist on the plant roots, retrieve carbohydrates and sugars from the plant, which are by-products of photosynthesis. By exuding acids and breaking chemical bonds, mycorrhizal fungi are able to make unavailable nutrients available to the plant, reducing reliance on readily available inputs which are vulnerable to leaching, he explained. “All nutrients exist in three pools – soluble, exchangeable and total extractable. While soluble nutrients are available for direct plant uptake, exchangeable nutrients are attached to soil nutrients and are available on a medium-term basis. Total extractable nutrients make up the biggest pool which is formed by insoluble, unavailable nutrients. “At the moment, farmers tend to measure the soluble pool by testing the amount of readily available nutrients and by topping up where there is a shortfall – which is fine as a short-term solution – but we need to do something more long-term. By sourcing nutrients from the ‘insoluble pool’, mycorrhizal fungi limit the need for soluble nitrate, which pests and disease prefer, he added. Unlike bacteria, fungi are extremely sensitive to inputs, including artificial fertiliser. In order to support crop production in the short-term, while fungi populations are being increased, Mr Williams suggests applying nutrients in a foliar form to improve the soil’s ability to recycle nutrients. By applying nitrogen in the form of foliar urea for example, not only will soil fungi populations be protected, but the plant will use less energy than if it was to convert granular nitrogen, such as ammonium nitrate, into a plant available form. 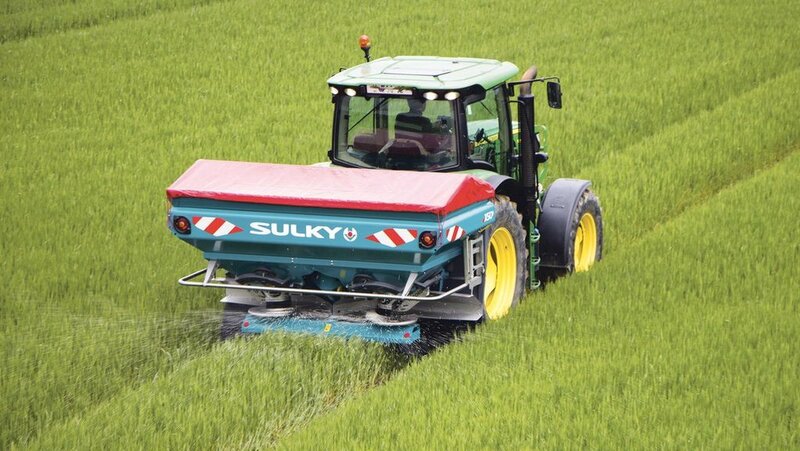 For those using granular fertiliser, he advised not flushing the system with high levels of soluble nutrients, but instead to split fertiliser applications as much as possible and to avoid using starter fertilisers. To reduce the damaging impact that pesticides can have on soil fungi, Mr Williams suggested applying a source of carbon, such as farmyard manure and compost, along with the pesticide to buffer against its potentially harmful effects. But where mycorrhizal fungi populations are high, the need for pesticides is likely to be reduced.